It’s a big week for Scran Salon. We have our September event coming up in Edinburgh next Monday. Thursday will see the announcement of a super-exciting piece of news, so stay tuned for that. 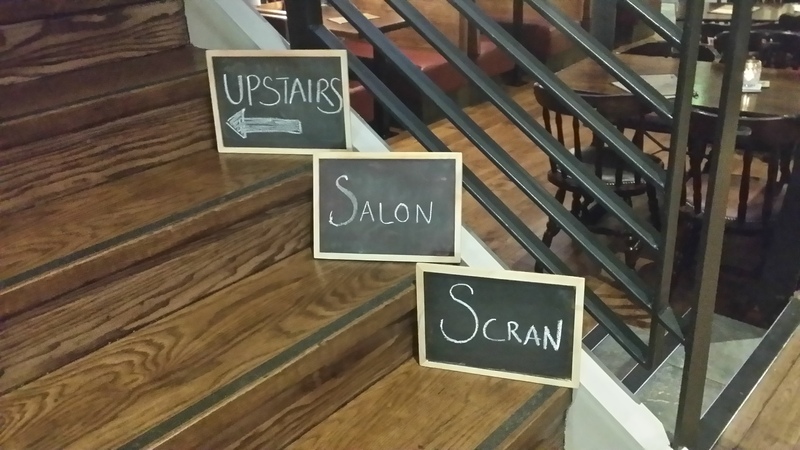 But first came the launch of Scran Salon Glasgow, last night. Compered by Emma from Food & Drink Glasgow, the event was held in The Raven on Renfield Street. For me, this was an ideal location as my knowledge of Glasgow’s geography consists of about a mile square around Queen Street train station. 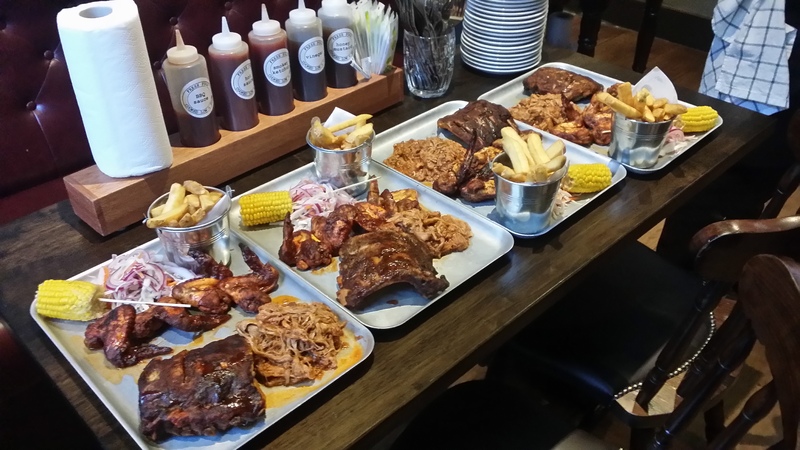 It was my first visit to the place and I was suitably impressed. Not only did it serve the needs of the event very nicely, the beer selection was good and the food we sampled was rather tasty. Emma opened the evening with a warm welcome to all, then passed over to me to give a little introduction on what the Edinburgh event has been all about to date. I was keen to emphasise that the Glasgow version shouldn’t be constrained by what has come before. It will need to develop its own direction and dynamic. Next up was Fraser Wilson, a local food writer who has recently produced an excellent book about the Glasgow dining scene. Fraser gave us a helpful insight into how the book developed and came together. The chef then duly introduced the meaty nibbles which we munched with relish. The rest of the evening was full of friendly banter and chatter. Before long the train beckoned and I was heading to Queen Street for my return to the east. The next Scran Salon Glasgow will be on 22 September, then will continue on the last Monday of the month from October. I’ll definitely be back and hope to see you there. And I’ll see y’all this Monday at Hemma for the Edinburgh event.